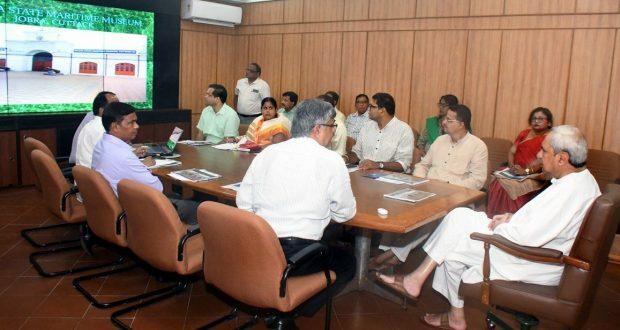 Bhubaneswar:8/11/18: The fourth working meet of Odisha Maritime Museum was held under the chairmanship of Chief Minister Naveen Patnaik at the State Secretariat here on Thursday. In the meeting, it was decided that children, below 14 years of age, and the differently-abled visiting SFX theatre and aquarium museum will be allowed 50 per cent discount on tickets. The meeting also decided to revise the salary of the museum employees and disburse 21 days’ extra salary in a year as they have been working in the holidays also. Besides, installment of mirror maze and the expansion of the aquariums in the museum were also discussed in the meet. The Chief Minister directed the officials concerned to lay emphasis on creating awareness about Odisha’s Maritime history by distributing booklets among students. In the meeting, it was learnt that the Maritime Museum has transformed into a popular tourist spot and have witnessed a huge footfall since its opening. Cuttack MP Bhartruhari Mahatab, MLAs of Cuttack and Tangi, and Cuttack Collector were among others present in the meeting.